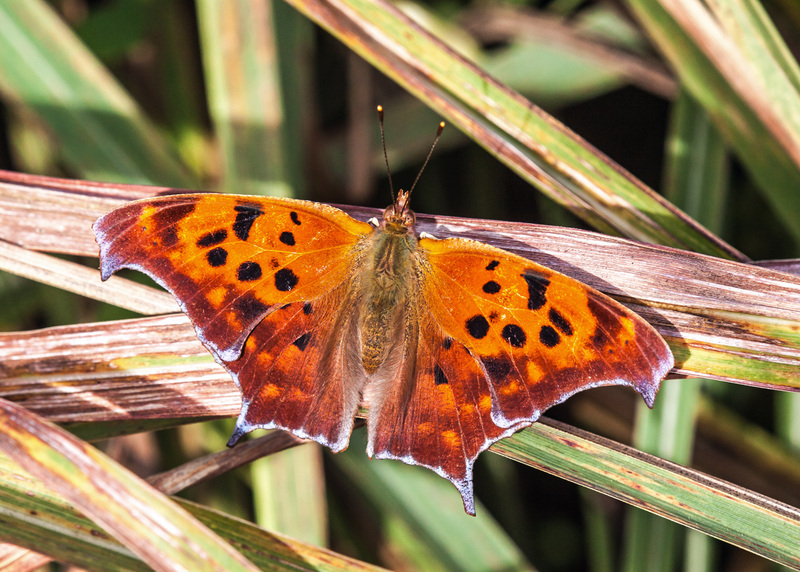 Orange and brown seem to be the perfect color combination for the autumn and this Question Mark butterfly (Polygonia interrogationis) was suitably celebrating the season this past Friday at Occoquan Bay National Wildlife Refuge. I see a few of these here in Ohio. How fascinating to see this, and your previous posts about the butterflies that “punctuate!” A really interesting first for me! I saw so many of these this past Saturday while out hiking.